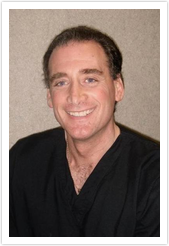 Dr. Peter B. Liaros is a board certified periodontist. He grew up on the north shore in Wilmette, where he attended New Trier High School. He went on to receive his Bachelor of Science Degree in Biology at Indiana University. He was awarded membership into the Phi Eta Sigma Honor Society at Indiana which is only awarded to students with a grade-point average of at least 3.5-4.0. Dr. Liaros continued his studies at Loyola University and received his Doctor of Dental Surgery. Dr. Liaros was then accepted into the prestigious Loyola Periodontal program for 2 more years and completed his Periodontal certification. Dr. Liaros is an exceptional Periodontist with more than 20 years of experience. He has a large range of surgical procedures that he has mastered. He can perform anything from implants, cosmetic gum reshaping, botox, and really anything regarding the soft tissue of the mouth. Dr. Liaros is an active member of the American Dental Association, the American Academy of Periodontology, the Illinois Society of Periodontists and the Midwest Society of Periodontology. Dr. Liaros currently resides in the northern suburbs and has a passion for skiing, working out and traveling.